I’d like to tell you about a game that people used to play many, many years ago. It was long before personal computers, PlayStation, X-Box and flat screen TVs. Even before Pac Man and Dungeons & Dragons. No batteries required. In fact you didn’t even need to move things around on a board like Parcheesi, Scrabble or Monopoly. 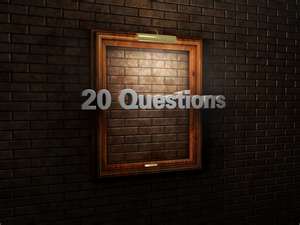 The game was called “Twenty Questions”. Some people also called it “Animal, Vegetable or Mineral”. One person would think of an object, and the other players were allowed to ask twenty questions which required only a yes or no answer to determine what the object was. It was a game that actually required people to TALK to each other! Kind of like network marketing! I’d like to show you how you can use twenty questions of your own to help you and others build a USANA business. So after receiving a number of calls like that, I developed the following list of questions to enable me to help others. I hope that you will find these questions helpful as you work with your team members. You may even get some ideas to help you build your own business. 1. How long have you been a USANA Associate, and how often do you review the USANA BDS and eApprentice? If your business isn’t growing, then you need to review the BDS and/or eApprentice regularly until it is – at least every 30 days. 2. What are your goals for your USANA business in six months? In one year? In five years? If you don’t know where you’re going, you’ll probably end up somewhere else. Most people will put more effort into planning a vacation than they will in building their business. Break your goals down into Single Daily Action steps. Two A Day – Convention theme, song, video. It works! we built our business on sponsoring two active Associates per month, and did that by following the 2 a Day concept. 3. Are your goals specific and written down? Written goals are committed goals. Keep copies in prominent places where you can see and read them daily. Adjust them (up or down) as necessary. 4. Does your spouse or significant other approve of/support your USANA business efforts? Detractors can hurt your business efforts. Recognize if it exists and then deal with it. Don’t try to convert others – simply go with your own beliefs. Ask others to allow you to pursue your own goals and dreams, even if they do not share them with you. 5. How many Business Centers (BCs) do you have? If you don’t have three BCs, why not? Having three Business Centers is clearly the way to leverage and maximize your efforts. If you don’t see this, then you need to review the comp plan (see BDS above). If you are still within the 6 Friday time window to activate three BCs, be sure to do so. 6. Do you keep all your BCs qualified every four weeks? If not, why not? Even though having three BCs does not require that you keep all them qualified all the time, it certainly makes a lot of sense to do so. Group Sales Volume is extremely valuable – don’t take a chance on wasting any of it by not keeping all BCs qualified. 7. Are you on Autoship? If not, why not? 8. Are you subscribed to the online USANA Income Maximizer services? If not, why not? DLM, Web Hosting, e-Cards, Tax Advantage and Web Conferencing can each be worth hundreds of dollars per month to you by themselves. Take complete control of your business by having access to ALL of these tools for only $19.95US every four weeks. 9. Are you a USANA LifeMasters subscriber? If not, why not? Whether you are brand new to USANA or a 15 year veteran, the LifeMasters series which you can add to your Autoship will provide outstanding education and motivation for your business. A definite must have. 10. What is your single favorite USANA product? Why? Think about those USANA products that you like best and why that is. Perhaps you have a testimonial or personal story about a USANA product experience that you can share with your prospects. 11. Which of the USANA products do you NOT personally use? Why not? If you knew what many people know about the USANA products, you would not let a day go by without using most, if not all of the product line. The Essentials are a MUST. Most every person needs products from the Optimizer line. The USANA Diet and Energy products taste good and provide a great way to have healthy snacks, if not a meal replacement. Many people have built their entire business around the RESET program. An certainly, anyone who has skin and bathes on a regular basis needs the benefits afforded by USANA’s exclusive Sense products – that goes for people of all ages, including men. If you are not using all the USANA products, then you need to check your belief level, and re-evaluate how you are taking care of your body. 12. How are you promoting your USANA business (i.e., warm market, leads lists, direct mail, internet advertising, cold calling, etc.)? Which has worked best for you and why do you think that is? If something is working for you, then keep doing it, and learn how to do it better! Next, try something new and different until you find another way to build your business, and perfect that method as well. Always have two or three marketing programs working for you at all times. 13. How many prospect contacts to you make....monthly? weekly? daily? The answer to this question, if your associate is honest with you, will be the most telling. Remember, “He who talks to the most people wins!” And that means whether you are marketing on the internet, cold market, warm market, etc. Prospects who come from your cold market will move to your warm market before they sign up with you. That means that you need to TALK with them – answer questions, build rapport and trust. 14. How do you follow up with your prospects, and how often do you do it? You have probably heard over and over and over again – “The fortune is in the followup!” Again, that’s because it is true! People may have the best intention of signing up with you, but, “Life happens”, and USANA may slip on their list of priorities. That’s why you need to follow up with your prospects on a consistent, professional and courteous basis until they either sign up, or you determine that there is no interest on their part. 15. How many Retail Customers do you have? How many Preferred Customers? Retail customers and Preferred Customers are not only a requirement of USANA’s comp plan, but they are an excellent source of future associates and referrals. Someone may not be interested in the business initially, but may be willing to try the products. Once they have a USANA product experience, they will certainly be willing to recommend the products to others, if not become an Associate themselves. 16. 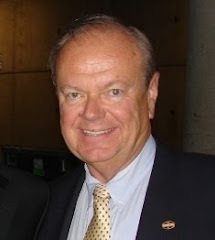 How many USANA Associates have you personally sponsored? This is not only a valuable statistic, it is also a good way for your Associate to think back and recall how those sponsorships came about. Who were they? What was said? How was the decision made? Look at the positives of those experiences, and put them to work for you in your future business building. 17. How do you train, coach and communicate with the Associates you’ve sponsored, and how often? 18. How often are you in contact with your sponsor/upline? Some sponsors are better than others. If someone has a poor relationship, or no relationship, with their sponsor, then look further upline, or even crossline, for a coach or mentor. 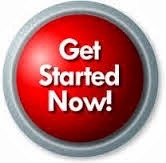 Use your upline for two-on-one meetings with prospects, three-way calls and tag e-mails in your business building. 19. Are you involved with any other network marketing companies? If so, why? Chinese proverb: “Man who chases two rabbits will not catch either of them.” Enough said. 20. How many books about network marketing have you read? Which is your favorite, and why? In our trainings, we talk about the WINS formula – Know Your Why, Initiate Action, Network with Others and be a Student of the Business. Leaders are readers and they never stop learning. When you stop learning, you stop growing. The BDS has a list of recommend books for reading, and there are many excellent online sources of NWM training available. Take advantage of them, but don’t become a professional student where you spend more time read than building. The U.S. debt ceiling talks are sputtering along, with the deadline for addressing the country's dwindling amount of available credit fast approaching and legislators bickering over how to address the problem. By all accounts, the process has been painfully slow, with both sides proving to be better at political posturing than at legitimate compromise. Perhaps they could learn something from Corporate America. While a myriad of companies went into the financial crisis of 2008 leveraged to the hilt, many have used the last three years to chip away at -- or, in some cases, altogether eliminate -- their high piles of debt. To be sure, they didn't have to deal with the same sort of political machinations that U.S. policymakers have to deal with. But they can nonetheless provide a bit of much-needed "get-it-done" inspiration -- not to mention good opportunities for investors. In fact, in the decade-plus that I've been researching history's most successful investment strategies, the variable that has most often popped up is debt. Gurus like Peter Lynch, Warren Buffett, and Benjamin Graham all have used approaches that look for companies that don't stretch themselves too thin. With that in mind, I recently looked for companies that have lowered their debt load over the past three years -- and which also get high marks from my "Guru Strategies". The models are each based on the approach of a different investing great, including Lynch, Buffett, and Graham. I found about 20 firms that make the grade; here's a look at some of the best of the bunch. 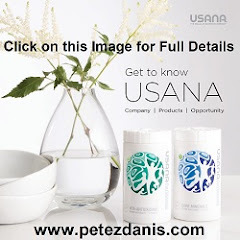 USANA Health Sciences ( USNA ): Utah-based USANA ($440 million market cap) makes nutritional and personal care products that it sells to customers in the U.S., Canada, Australia, New Zealand, Mexico, the U.K., and a number of countries in Asia. Its subsidiary, BabyCare, Ltd., has a direct selling business in China. USANA, which is a Federal Drug Administration-registered firm, has decreased its long-term debt/equity ratio from 110% three years ago to zero today, and it gets approval from my Warren Buffett- and Joel Greenblatt-based models. The Buffett approach looks for firms with a decade-long history of upping earnings per share; enough annual earnings that they could, if need be, use those earnings to pay off all long-term debt in less than five years; and high returns on equity (a sign of the "durable competitive advantage" Buffett is known to seek). USANA delivers on all fronts, having upped EPS in all but one year of the past decade, no long-term debt, and a 10-year average ROE of 35.2%, which more than doubles the model's 15% target. Publishing Rights: You may republish this article in your web site, newsletter, or ebook, on the condition that you agree to leave the article, author's signature, and all links completely intact. Tests are stressful. But they don’t have to be. Not if you have the utmost confidence in what you’re being tested on. That’s why USANA welcomes third-party testing. 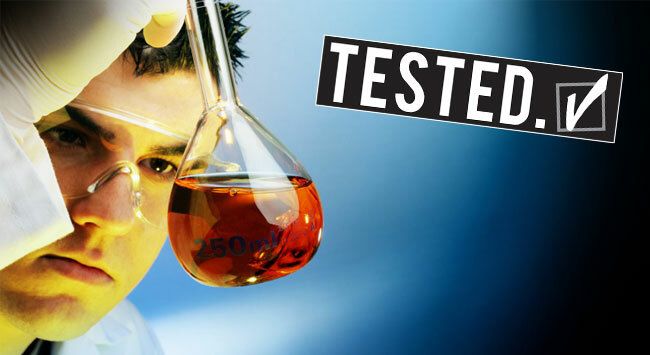 We voluntarily submit to testing by organizations like NSF International and ConsumerLab.com. And we do so proudly, and confidently, knowing USANA’s products are manufactured to the absolute highest quality. These third-party tests are validation that when you see the USANA name, you’re taking a product you can trust. The products are tested for things like label claims, purity, strength, US Pharmacopeia standards for disintegration, and more. Each time, USANA’s products pass with flying colors. Aside from the outside testing done by third-parties, USANA is mandated by the Therapeutic Goods Administration (TGA) in Australia to follow a set of Good Manufacturing Practices (GMP) identical to pharmaceutical GMP in the United States. As an Australian supplier, USANA is regularly inspected and audited by the TGA to ensure their GMP standards are met. All this proof from outside sources puts USANA, and your business, a step above the competition. Each test our products pass gives you another badge of honor to show off to prospects. But more importantly, each third-party validation gives you and your customers even more confidence that when they choose USANA, they’re choosing the highest-quality nutritional supplement on the market. "ConsumerLab.com checked our Essentials product, and we came through with a clean slate. We met our label claims for vitamins and minerals, USP disintegration time, and heavy metals. There was no problem found with our product. And there were problems with one out of three of the other products they sampled. Those kind of things are encouraging to know, and I think they help customers see that we’re not just saying that we’re really good—we are really good." In case you didn’t realize it, this week is the beginning of the new qualification period for USANA 2011/2012 incentives, including Fortune 25, Growth 25, 2012 International Convention Recognition, etc., etc. It’s time for everyone to take responsibility and accountability for their USANA business, get to work, do the right things (instead of just doing things right) and build their USANA business to the level that they have always wanted.
. Just as many people make New Year's resolutions in December and January, make your USANA New Year's now. Define or re-define your "Why". Set your goals and develop specific plans (Single Daily Actions) to achieve those goals. Focus on achieving them.
. Take all of the USANA business building tools that are still in the box in your closet, put them in the middle of your dining room table, and make it a goal to hand out each and every one of them before Convention. Don't move the stack from the table until you have given them all out.
. As always, a new Health and Freedom newspaper, and many other marketing tools, will be introduced at Convention. Clean out your USANA tool box now, and get them into the hands of prospects before they are obsolete. Put them on the front seat of your car, so you don't forget, or get caught talking with a good prospect and nothing to give to them. Will 2012 be your breakthrough year in USANA? Only you can decide that, and only you can make it happen. USANA uses soy as a major source of protein in its bars and drink mixes. A variety of factors have gone into this decision. The most important involve the fact that soy protein is nutritionally complete and high quality, and soy consumption has been linked with several long-term health benefits. In addition, soy protein is ecologically friendly. Its production has a much lower environmental impact than does the production of most animal protein foods. This does not mean we don’t appreciate the nutritional value of other proteins. Whey protein, for example, is also high quality from a nutritional perspective, and may have some advantages for those whose primary goal is to build muscle. It also has some advantages in taste and mouthfeel, although newer soy isolates are catching up in the sensory arena. We also recognize the value of rice, pea, and other protein concentrates, but note that few of these are as complete or balanced as soy and whey. In general, though, our position is that a healthy diet includes protein from a wide variety of sources - including whole foods (legumes, whole grains, meat, dairy, and fish) as well as healthy processed foods. In this context, we believe that soy, whey, and other protein isolates and concentrates can play a role as components of healthy, well-balanced diets. That said, we are also aware that the world of protein isolates and concentrates is filled with controversy. Much of what we see on the Internet and in certain popular magazines is strongly pro-whey and anti-soy, or strongly pro-soy or anti-whey, as if one or the other of these protein sources were “all good” or “all bad” for all people in all situations. In most instances, such stories are associated (either overtly or covertly) with food marketing campaigns. They are part of the “sticks and stones” that get thrown back and forth between the soy, whey, and meat factions who compete for your food dollars. Is there any truth in what they are saying? Many times there is, but too often those truths are “half truths” or “facts spun out of context” with the intent of swaying purchasing behavior. But to USANA scientists, these are not sufficient grounds for making the choice between whey and soy proteins an all-or-nothing, black-and-white proposition for the vast majority of people. The industrial-grade bickering that has characterized much of the soy versus whey debate has left many consumers confused, concerned, and generally hungry for objective information on what they should eat. The purpose of this position paper is to summarize in an objective way our interpretation of what nutritional science has to say about several key issues that lie at the heart of arguments for and against soy protein. 1. The Nutritional Value of Soy Protein. A second method, the Biological Value (BV) scale, is based on the retention of protein nitrogen by the body. It is thought to be a good measure of protein utilization. The BV scale stretches from 0 to 100, with a score of 100 indicating that virtually 100% of a given protein's nitrogen is retained by the body. Some people - particularly in the sports world - use this method, but it is not widely accepted within the community of nutritional scientists. However, when the PDCAAS approach is employed, soy protein isolates, whey protein isolates, and egg white protein all score a complete 1.00, meaning they all exhibit very high - and essentially equivalent - nutritional value in supporting human health. 2. Soy Allergies and Sensitivities. Milk and peanut allergies are each 5-6 times more prevalent than soy allergies. In fact, the true incidence of soy allergy - as confirmed by double blind, placebo-controlled food challenges - is quite low. Research indicates that allergic reactions to soy occur predominately in children less than four years of age, and most estimates agree that <1.0% of children (probably 0.2-0.4% of children) have true soy allergies. Moreover, 90% of children who have reactions to soy outgrow the allergy by age four. Given these statistics, it is safe to assume that <0.1% of adults (fewer than 1 in 1,000) are allergic to soy. Some claim that soy-based meal-replacement formulas are ineffective for weight loss. However, the fact is that soy protein has been used effectively as a component of weight loss diets for more than 20 years. Animal studies have shown that soy protein and its associated bioactive isoflavones and peptides can have beneficial effects on glucose metabolism, fat metabolism, insulin sensitivity, metabolic rate, food intake and weight loss. Studies in humans have further shown that increased intakes of soy or animal protein can increase metabolic rate, decrease appetite, and increase satiety. Furthermore, randomized clinical trials and clinical weight loss studies have shown that diets based on soy protein are every bit as effective - if not more effective - than diets based on dairy protein when it comes to helping people lose weight and abdominal fat. 4. Soy and Thyroid Function. The relationship between soy consumption and thyroid function has been studied for more than 70 years. Interest in the topic grew during the 1950’s and 1960’s when several cases of goiter were identified in infants who consumed soy formulas. Subsequently, using in vitro and animal research, scientists found that at high concentrations the soy isoflavones genistein and daidzein can inhibit the activity of thyroid peroxidase and 5'-deiodinase, key enzymes involved in thyroid hormone biosynthesis. Isoflavones are currently the most intensively researched soy phytochemical with respect to breast cancer, although there is a growing body of literature supporting protease inhibitors as anticarcinogens. In addition, certain protease inhibitors - such as the Bowman-Birk inhibitor (BBI) found in soy - have been shown to prevent and suppress carcinogenesis in animal models without toxicity. A concentrated form of BBI (referred to as BBIC) has been granted Investigational New Drug Status for use in human cancer prevention trials. Soy isoflavones have been shown to be protective against mammary cancer in rat models and in human mammary cancer cell lines grown in cell culture. However, no clinical trials have been published documenting soy's ability to reduce breast cancer in women at high risk. Moderate, long-term consumption of soy foods containing isoflavones may contribute to the relatively low incidence of breast cancer in Asian countries. The incidence of breast cancer in Japan andChina is one-fifth that of Western women. The average intake of soy protein inSoutheast Asia ranges from 10-50g per day in contrast to 1-3g per day consumed by Americans. Asian women consume 20-80 mg of isoflavones daily; women in theU.S. have an average intake of less than 5 mg per day. Several epidemiological studies have specifically examined the association between soy consumption and the incidence of breast cancer. Many - but not all - have shown that soy intake can be protective. In a study involving 200 Singapore Chinese women with breast cancer and 420 matched controls, a decreased risk of breast cancer was associated with high intakes of soy products in premenopausal women. A more recent case-control study done at theUniversity ofSouthern California,Los Angeles, interviewed 597 Asian-American women with previous incidence of breast cancer and 966 controls. Risk of breast cancer decreased with increasing frequency of tofu consumption in both pre- and postmenopausal women. A recent and large study of 21,852 Japanese women aged 40-59 found that women with the highest intake of soy isoflavones reduced their risk of breast cancer by up to 54% compared to women with the lowest intake of soy isoflavones. As such, controversy remains as to whether women with a family history of breast cancer - or women who have been diagnosed with estrogen dependent tumors - should avoid consuming soy products. Based on our research, we encourage at-risk and concerned women to discuss this matter with their doctors and oncologists. There are two principal categories of traditional soy foods: non-fermented and fermented. The main non-fermented foods include soymilk, tofu (bean curd), soybeans, and soynuts. These foods are consumed mainly for nourishment. The main fermented soyfoods include soy paste (miso inJapan) and fermented soybeans (natto inJapan). Fermented soy pastes are generally used as condiments in cooking, whereas fermented soybeans are also consumed as part of a meal. Some people object to soy because it has become a leading example of industrial food production around the world. 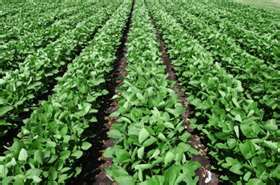 The U.S. alone produces some 70-80 million acres of soybeans each year. This production embraces principles of the "Green Revolution", namely monoculture, extensive use of chemical fertilizers, pesticides, herbicides, and genetically modified hybrids, high inputs of fossil fuels, poor land use practices leading to erosion, enormous government subsidies, and more. In short, soybeans are not being cultivated in a sustainable way, and this imposes an enormous burden on our environment. Soy offers a primary plant-based source of protein that is complete, balanced, and as nutritionally rich as most animal proteins - and it does this at a fraction of the environmental cost. Consider that a very high percentage of the corn and soybeans produced in theU.S. each year are fed to cattle, pigs, and chickens, and that the conversion of these grains into meat is inefficient. In fact, it requires 20 pounds of corn and soybeans to produce a single pound of beef. In comparison, it requires 4.5 pounds to produce a pound of chicken meat and 7.3 pounds to produce a pound of pork. We encourage everyone to become an active “student” of nutrition - to seek out objective information from a variety of sources concerning the foods they eat. We encourage everyone to question information that doesn’t make common sense or that sounds too good or too scary to be true. De Kleijn MF, van derSchouwYT, Wilson PW, Adlercreutz H, Mazur W,FrobbeeDE, Jacques PF. Intake of dietary phytoestrogens is low in postmenopausal women in theUnited States: theFramingham study (1-4). 2001. J Nutr 131:1826-1832. Divi RL,Doerge DR. Inhibition of thyroid peroxidase by dietary flavonoids. 1996. Chem Res Toxicol 9:16-23. Hydovitz JD. Occurrence of goiter in an infant on a soy diet. 1960.N Engl J Med 262:351-3. Lee HP, Gourley L, Duffy SW, Esteve J, Lee J, Day NE. Dietary effects on breast-cancer risk inSingapore. 1991. Lancet 337:1197-200. Liu Z, Li W, Sun J, Liu C, Zenhjg Q, Huang J, Yu B, Huo J. Intake of soy foods and soy isoflavones by rural adult women inChina. 2004.Asia Pac J Clin Nutr 13:204-9. Messina M,Redmond G. Effects of soy protein and soybean isoflavones on thyroid function in healthy adults and hypothyroid patients: a review of the relevant literature. 2006. Hyuroid 16:249-58. Reddy NR,SatheSK (eds). Food Phytates. 2001. CRC Press,Boca Raton. Roberts P. The End of Food. 2008. Houghton Mifflin Co,New York. Wu AH, Ziegler RG,Horn-Ross PL, Nomura AM, West DW, Kolonel LN, Rosenthal JF,Hoover RN, Pike MC. Tofu and risk of breast cancer in Asian-Americans. 1996. Cancer Epidemiol Biomarkers Prev 11:901-6. Yamamoto S, Sobue T, Kobayashi M, Sasaki S, Tsugane S. Soy, isoflavones, and breast cancer risk inJapan. 2003. J Natl Cancer Inst 95:906-13. Young VR,Pellett PL. Plant proteins in relation to human protein and amino acid nutrition. 1994. Am J Clin Nutr 59(suppl):1203S –12S. In Network Marketing, When Is Enough, Enough?